Tax deductions are one of the primary ways to save money on income taxes. 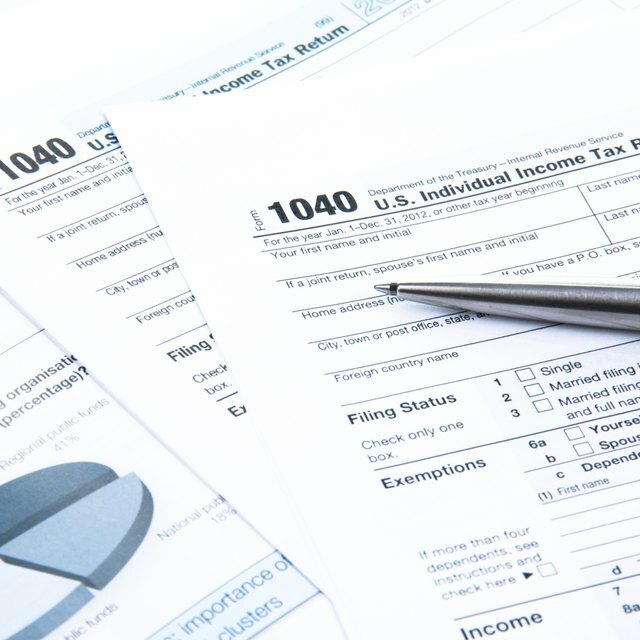 When you file a tax return, you have the option of using a standard deduction, in which a set amount--based on your filing status--is subtracted from your taxable income, or itemizing your deductions, which allows you to deduct a variety of expenses you paid throughout the year. Mortgage interest paid on a recreational vehicle loan can be an itemized tax deduction if the loan is secured by the property, the RV is your first or second residence and the RV contains basic living amenities such as a bed, kitchen and bathroom. Itemize your tax deductions by filling out Schedule A (Form 1040) and including it with your tax return. Go to line 10 of Schedule A (Form 1040) and enter the amount of mortgage interest and points reported on a Form 1098 sent to you by your lender. Go to line 11 of Schedule A (Form 1040) if you did not receive a Form 1098 and record the mortgage interest paid on the RV. Enter the name of the lender that received the interest, its identification number and address on the dotted lines provided on line 11 if you did not receive a Form 1098. The identifying number is the employer identification number for businesses and Social Security number for individuals. Provide the recipient of the interest payment with your Social Security number if you haven't done so already. There is a possible $50 penalty if you fail to do this. Attach Schedule A (Form 1040) to Form 1040 when you file your tax return. Mortgage interest is tax deductible on a primary residence and one secondary residence or vacation home. If you have another vacation home in addition to your RV, you will only be able to claim the interest paid on one of them as a tax deduction.